My 'after accutane' skin care routine is to apply mild Retin-A at least once a day on my red marks and problem areas (areas prone to spots when I'm in my 7 day Yasmin break). I also apply bio-oil twice a day all over my face, which helps restore moisture and is also supposed to help even out skin tone. After sticking to this consistently for around 30-40 days, my skin definitely feels clearer and smoother-it's even helped blur out a scar on my nose! 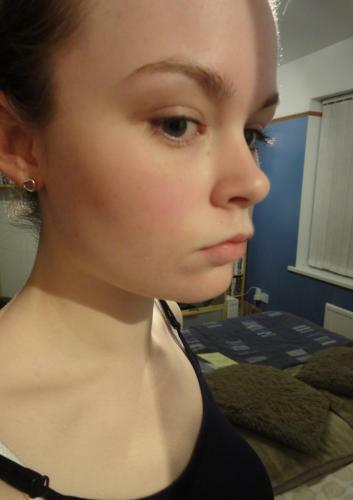 I've always looked a bit young for my age (mam calls it a baby face, I call it a fat face) but now I look even younger with clear skin, with people actually pointing this out. Acne seemed to age me, I got into way more films that I shouldn't have . I'm 18 in 2 months and I was asked for ID to buy a DVD rated 15, and when I said I didn't have any he said he wouldn't sell it to me because he believed I was under the legal age to purchase such an item! Watched Spongebob that night instead. I think it was partially because I wear way less makeup than I used to, with my foundation not being so thick, so it's a good thing in a way. fexercising every day, or when I'm too tired at least 30 minutes. I've been taking vitamin C supplements too because I'm constantly tired and fatigued, and by now accutane should be out of my system, so I'm thinking the sleepiness must be caused by something else. Also, I have terrible nails (weak and uneven texture) so this combination hinted at a deficiency in that particular vitamin. It's probably healthier to eat foods rich in this rather that take supplements, but I hate anything citrusy/bitter, and the majority of foods rich in V-C follow that sour route. 1.When I feel people are ignoring me, instead of thinking 'they don't like me' I tell myself that they're probably wrapped up in their own day-to-day business. (I learnt this from a CBT website). This usually happens to me when I feel particularly self-conscious. 2. Avoid comparing myself to other girls. 3. Remember that people in magazines/ on TV are airbrushed and it's not possible to look so perfect. 4. Try not to stress and worry over little things. I need to get my hair cut, which I'm scared about. I hate sitting looking in a mirror at myself for half an hour and having attention directly on me by the hairdresser. I always focus on the negatives in my face and leave feeling incredibly ugly and self-conscious. I'm going to try force myself to see the positives and not stress about the negatives this time, and hopefully I won't dread the experience as much anymore. And what lovely skin it is. I covet your skin photos! As for feeling ugly at the hairdressers, I feel your pain. I don't think its the most flattering situation, and all that staring at yourself in the mirror....eeuuugghhh. My tactic (which unfortunately wont work for you) is to wear my glasses and not contacts. Then I have to take off my glasses which results in my being in a nice soft focus blur. Once my hairdresser has weaved his magic and transformed me into a super model I put my glasses back on for the big unveiling. I seem to always be disappointed though....Perhaps I set the 'supermodel' goal a little high...need to work on that. Good idea on the diet improvement. Its not all about skin. You're young, beautiful and healthy and it would be nice to keep yourself that way. Oranges and lemons are your friends. Even though you so scornfully reject them, they still love you. Your skin is now officially totally awesome! I wouldn't worry about the hairdressers, they're too busy cutting your hair to pay as much attention as you'd work yourself up to believe. Aside from the fact that you aught to love what you see in the mirror now anyway, that situation is just another example of people going about their business.